Figs can be used in both savoury and sweet dishes. 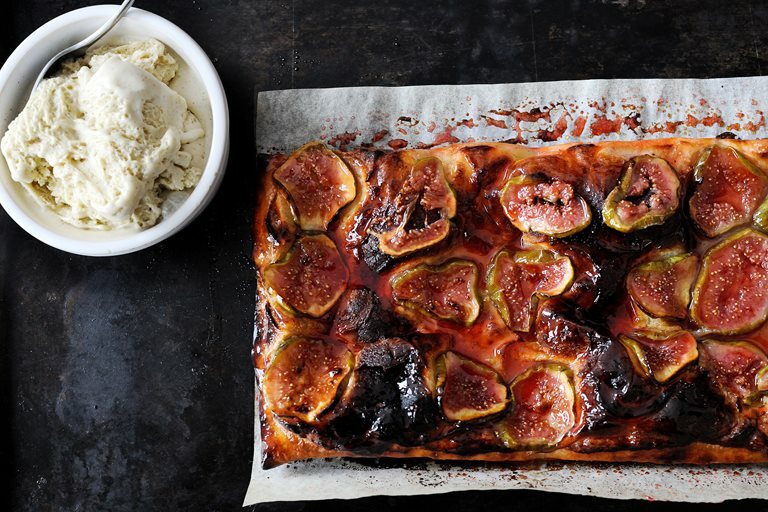 In this fig tart recipe, Tom Aikens recognises the extraordinary combination of figs and pastry, serving it with a sublime cinnamon ice cream. To save time, make the ice cream and crème pâtissière ahead of the fig tart.